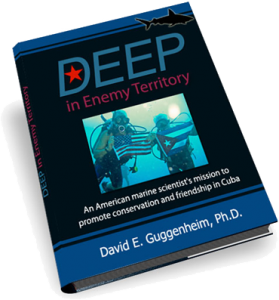 Coming soon: Deep in Enemy Territory: An American Marine Scientist’s Mission to Promote Conservation and Friendship in Cuba by David E. Guggenheim. 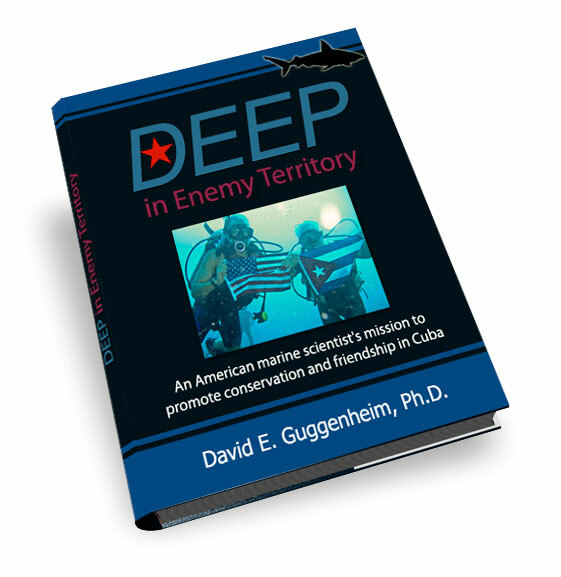 Synopsis: Marine scientist and conservationist Dr. David E. Guggenheim (the “Ocean Doctor”) tells the story of his decade-long effort to bring collaboration in science and conservation between Cuba and the U.S. to a new level. 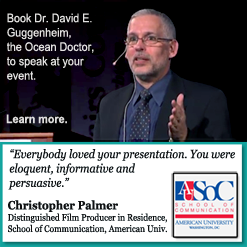 He tells the story against a backdrop of Cold War-era politics, maddening bureaucracy, and the daily challenges of Cuban life while introducing us to Cuba’s unimaginably beautiful underwater ecosystems and the Cuban scientists dedicated to protecting them. 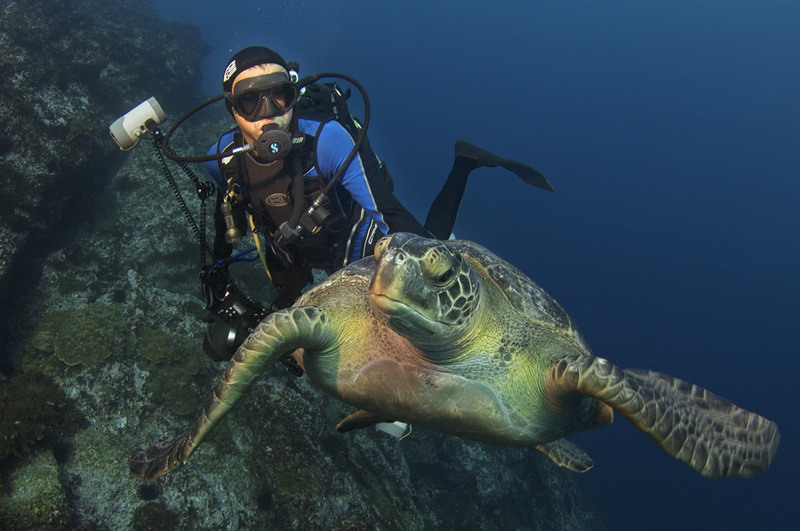 His story is timely, illustrating how marine biologists have succeeded where diplomats have failed in bringing the two countries closer together. Deep in Enemy Territory brings a personal, in-depth view of an enchanted yet troubled island that few Americans have seen for half a century. A portion of profits will support Ocean Doctor. My tired eyes panned frantically but in vain for even the slightest evidence that I was in my lane — or any lane — as we sped toward an awaiting vessel in a tiny coastal village I had never heard of. Our deadline was nightfall, which had been ominously enveloping us. The Cuban Coast Guard officials at our destination would soon pack up and return home to their families, decreeing it was too late for the Reina to leave port. We were hours late, stymied by typical Cuban obstacles, including trying to rent a pair of reliable cars for the journey from Havana, an ordeal which took fully half a day, punctuated by bursts of exhaustive negotiations, fists full of cash, and cross-town dashes to promised vehicles that didn’t exist. We were also slowed by the inevitable breakdown of one of our “reliable” vehicles along the highway. Thanks to a pair of tie wraps and Cuban-inspired ingenuity, we were able to jury rig a repair. 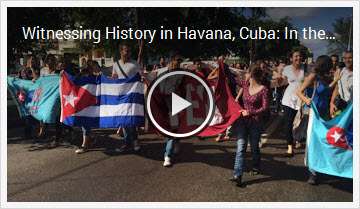 The six-hour drive east along Cuba’s major axis became increasingly harrowing with every minute as a determined sun slid steadily into the mountains behind us. My grip on the wheel tightened until my hands throbbed. In Cuba, darkness transforms a drive in the countryside from simply a challenging journey into a nail-biting adventure, especially on this final stretch of highway leading into Ciego de Avila Province. As the pale gloaming gave way to darkness, oncoming headlights scattered across our filthy windshield, causing momentary night-blindness and frustrating whatever hope I had of being sure I was in my lane. Such certainty would have provided a morsel of desperately-needed comfort, though far from a guarantee of safety. Eighteen-wheelers with blinding headlights barreled toward us in the center lane, seemingly inches away, their explosive wake — together with my own instinctive reaction to steer away — lurching our small station wagon toward the dirt shoulder, where invariably our headlights would reveal the rapidly approaching rear end of a horse and the unlighted cart it was pulling. And so I’d veer to the left and hold my breath, hoping we weren’t coming up upon a slow-moving vintage 1950s Chevy without working tail lights. This maddening dance down the highway continued into the early evening as the autopista slowly gave way to the narrow two-lane secondary roads that wound through acres upon acres of sugar cane. When I finally released my death grip at a small town service station, an American reporter observed of the bizarre mix of horse-drawn buggies, bicycles, decrepit old American cars, rusted Russian Ladas and Moskvitches, and modern Asian and European vehicles we had encountered, “It’s like the whole history of human transportation on one road,” he observed. This moment — and countless more throughout each of my 60 visits to this unusual island — seemed to be the realization of a science fiction book I had enjoyed as a teenager. In Gordon Dickson’s, Time Storm, swirling storms in time criss-cross the planet, leaving in their wake a world divided into a patchwork of different time periods. The story’s protagonist must journey through the often-bizarre juxtaposition of different time periods in close proximity. And so to the outsider does Cuba seem to be caught in its own time storm, with relics of a century past coexistent with early 21st century modernities: Horse-drawn buggies stopped at a traffic signal alongside modern Hyundai sedans; sixty-year-old rotary phones still in regular use alongside shiny new iPhones. 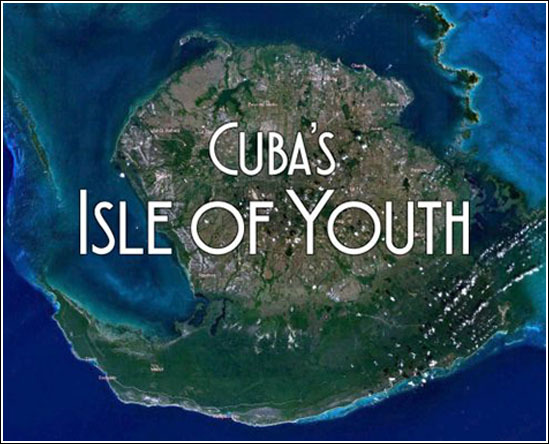 It is disorienting to travel through an island where so much is still frozen almost as it was more than a century ago, with more than half of century of isolation and crushing economic embargo from its nearest neighbor, the United States. Little did I have any inkling when I first set foot on this exotic island what lay in store over the next decade. I underestimated everything, from this island’s relentless gravitational attraction that would pull me back time after time, even after I had given up hope of succeeding there. Nor did I appreciate what difference I could possibly make, a gringo from Washington, DC without a drop of Latin blood in his veins and little memory of the Spanish he had struggled with during his undergraduate studies decades earlier. But I would soon discover — and treasure — my newfound Latin soul. Neither had I anticipated that I would be swept away within my own “time storm.” As we resumed our mad dash to the tiny coastal village of Jucaro before the Coast Guard officials left, the awaiting Reina, a converted fishing boat, was to be my shiny silver DeLorean, destined to take me on a 500-year journey though time that I can still barely believe. 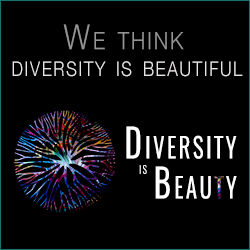 Subscribe to our VIP list to receive additional excerpts from the book, exclusive behind-the-scenes updates, invitations to special events, and be first in line to receive a copy once it’s published! OMG, I Thought You Were Dead!